Which components of food are healthy and which are not? Why should we care about this? What are the effects of the individual components of food on the human body? What do our families eat? What are the likely effects of what we eat? How can we ensure that the energy we get from food is used up by the exercise we undertake? This module explores the flow of energy in the human body. Students explore the food they consume and the energy that they use in general day-to-day activity and in any additional exercise they do. 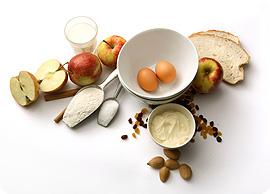 They also look at the contribution that different nutrients make to the energy provided by different foods. Students will eventually consider how they might eat a more balanced and healthy diet and how much exercise they might need to do to use the energy they consume in the food they eat.